Tesla CEO, Elon Musk epically trolled Jeff Bezos, CEO Amazon on Twitter. 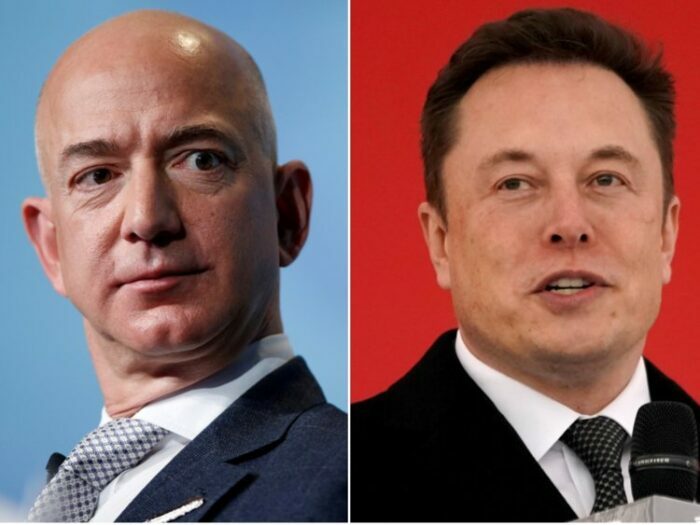 The two billionaires have always had a bit of rivalry going on and here’s why because besides founding the main companies that they are known for, the two also own competing space technology companies Blue Origin and SpaceX. Where Blue Origin belongs to Bezos, on the other hand, SpaceX is owned by Musk. After MIT tech review reported on Amazon’s plans to launch 3,236 satellites into orbit with the intention of bringing high-speed internet to the globe’s more remote region which is named “Project Kuiper”, Elon Musk took to Twitter to show his displeased by tweeting “COPY with a cat emoji for Bezos. Well, for many of you who are not aware of is that Musk’s SpaceX had previously announced the same plan via its Starlink Program using 12,000 satellites. Moreover, Bezos recently also hired a SpaceX Vice President who fired by Musk to run Amazon’s satellite internet project. 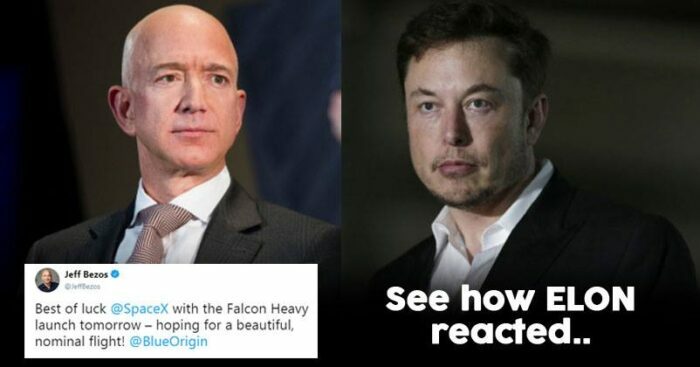 The two have at many occasions have exchanged pleasantries before on Twitter which include Bezos wishing SpaceX luck for the Falcon Heavy launch in February last year with Musk replying on it with a kissing emoji. Here’s a quick sneak peak of their Twitter history with each other!